Dr. Deng accepts the following list of insurance providers. Select your insurance provider to see more details. I am a board-certified dermatologist who specializes in the diagnosis and treatment of various skin conditions — particularly skin cancers including melanoma (the most dangerous form of skin cancer), genetic skin disorders, drug hypersensitivity reaction, therapy-induced skin toxicity, and skin manifestations of infections in immune-compromised individuals. Most of the patients I care for have prior histories of skin cancers. I have several goals as their dermatologist: 1) to provide the best care possible for the treatment of their newly diagnosed skin cancers; 2) to examine their skin carefully in order to detect skin cancers at an early stage; and, 3) to educate them about sun protection and skin self-examination. Early detection of melanoma can save lives. For patients with many atypical moles and who carry high risks for developing melanoma, whole-body photography is a useful tool to assist dermatologists and patients to identify new or changing moles. I work closely with my colleagues on the melanoma disease management team, which is made up of doctors from medical oncology, clinical immunology, surgery, dermatology, and radiation oncology. In my laboratory, we are studying the interface between poxviruses and the immune system in order to develop better therapies for poxviruses and harness the potential of poxviruses as oncolytic (cancer killing) and immunotherapeutic agents. I am also interested in understanding the role of apoptosis (programmed cell death) and autophagy (a stress response involving degradation of cellular contents) in the progression of melanoma and in its resistance to treatment. 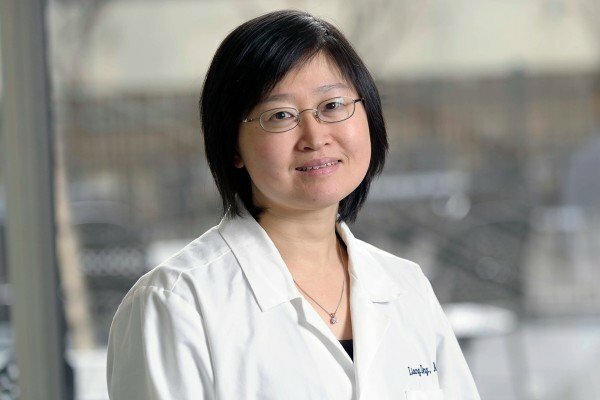 My research has been supported by the National Institutes of Health; Dermatology Foundation; Northeast Biodefense Center; American Skin Association; Lucille Castori Center for Microbes, Inflammation, and Cancer; and research funds from the Dermatology Service and the Department of Medicine at Memorial Sloan Kettering. I also enjoy teaching and mentoring students, residents, and fellows in the clinic and in the laboratory. I am fluent in Mandarin Chinese.